SonoSim has been featured in the latest publication of MEdSim Magazine. The article, “Bridging the Chasm: The Role of the SBIR Program,” details the guidance of a nascent educational technology into a successful commercial product. The following is an excerpt from the article. “October 7, 2001 marked the beginning of Operation Enduring Freedom (OEF), followed by the launch of Operation Iraqi Freedom (OIF) on March 20, 2003. Thousands of devastating blast-related injuries arising from improvised-explosive devices (IEDs) were a signature injury pattern of both conflicts. The complex nature of blast-related injuries was unlike anything encountered to date by military care providers trained within United States (US) medical centers. In an effort to track and analyze to the high volume of casualties and complicated nature of injuries during combat operations, in 2004 US military forces began developing and implementing the Joint Theater Trauma System (JTTS) and Joint Theater Trauma Registry (JTTR). 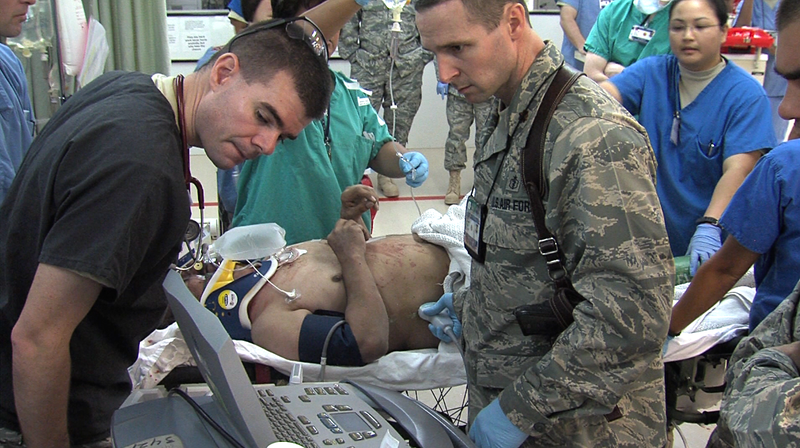 These measures were intended to “improve trauma care delivery and patient outcomes across the continuum of care utilizing continuous performance improvement and evidence-based medicine driven by the concurrent collection and analysis of data maintained in the Department of Defense Trauma Registry.” (USAISR 2014) Their creation resulted in tremendous improvements in medical care and created unique downstream opportunities to advance combat casualty and civilian medical care. In a seemingly unrelated event, a company called SonoSim sold its first commercial product a decade later. The common thread linking these disparate events was the US government’s Small Business Innovation and Research (SBIR) program. SonoSim was the Phase III commercialization vehicle of an earlier SBIR effort that began in 2007 as a direct response to unmet medical training needs arising from OEF and OIF. Through the strength of the federal government’s SBIR program the Department of Defense was able to prompt solutions to improve combat casualty care and improve efficiency within the military health system.